To add a new page to your website, select the "Pages" tab. This will allow you to manage your website with different sub topics. Type in your page name and then click, "Save Settings." 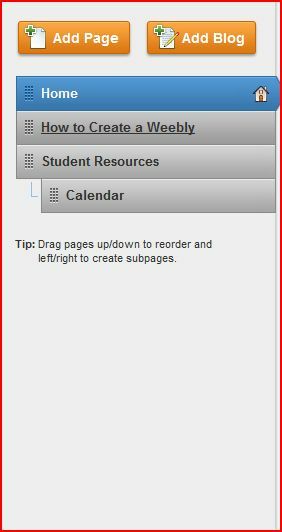 To create a subpage, drag it within your main page, such as Calendar is the subpage to Student Resources. 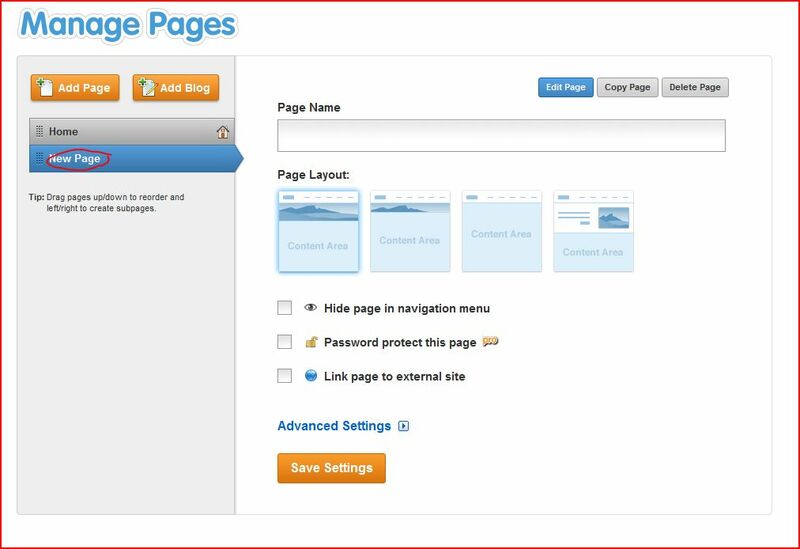 It is also possible to create subpages within subpages. 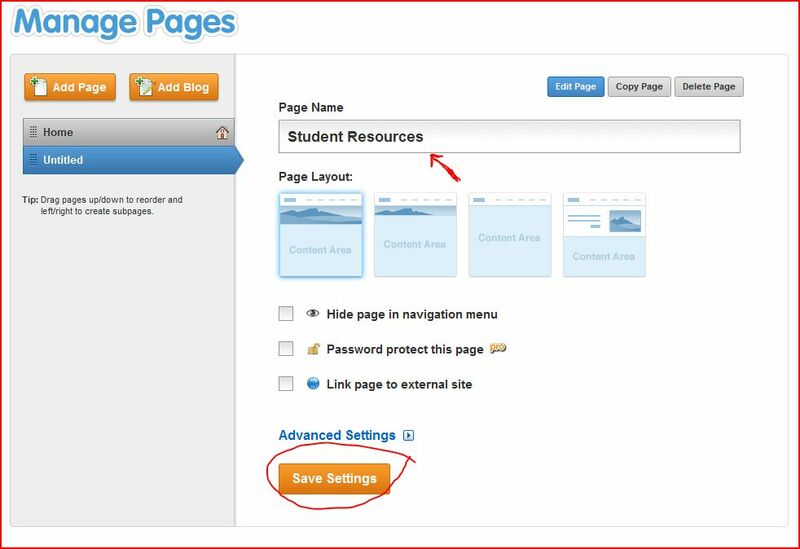 If you need ideas for what to put in your weebly (beside Student Resources), direct yourself to the homepage and at the bottom you will see the button, "Teacher's Digital Portoflio". This will help you with ideas for what to inculde.